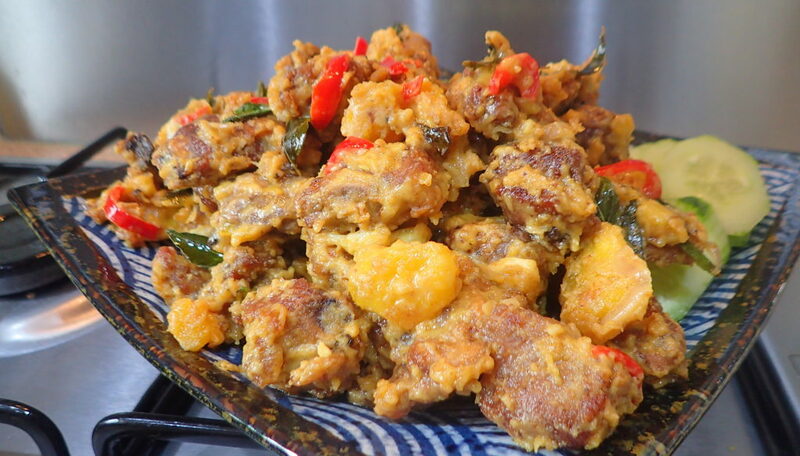 Salted Egg Yolks Butter Pork Ribs – 牛油黃金排骨 with curry leaves & fresh chillies. 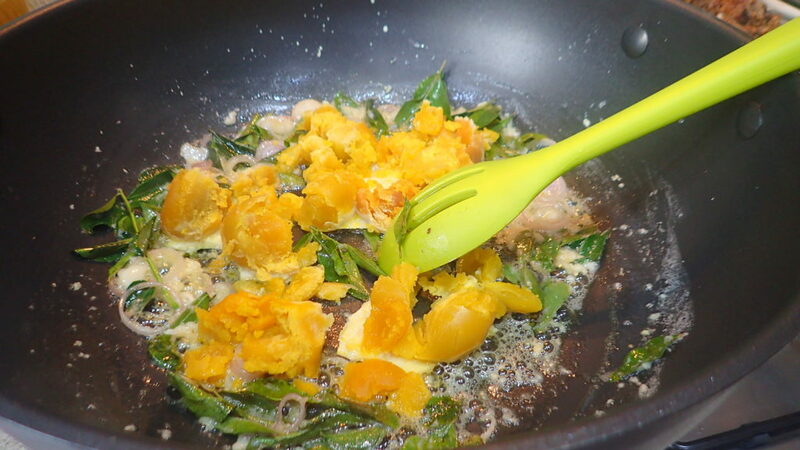 Salted egg yolks and evaporated milk is very rich, and paired with curry leaves, the smell is so good. This is quite an easy dish to cook. 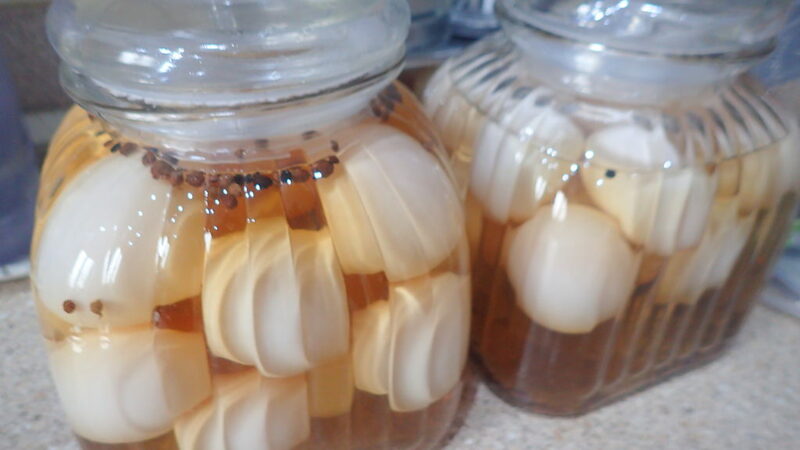 I wanted to soak a new batch of salted eggs so I went all out and used all of my leftover 8 yolks. 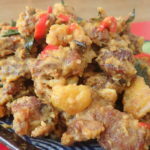 This is also because the hubby, funny Mat Salleh that he is, is not very good with chewing ribs but he loves salted eggs yolks so I am making extra bits for him to go with his rice. 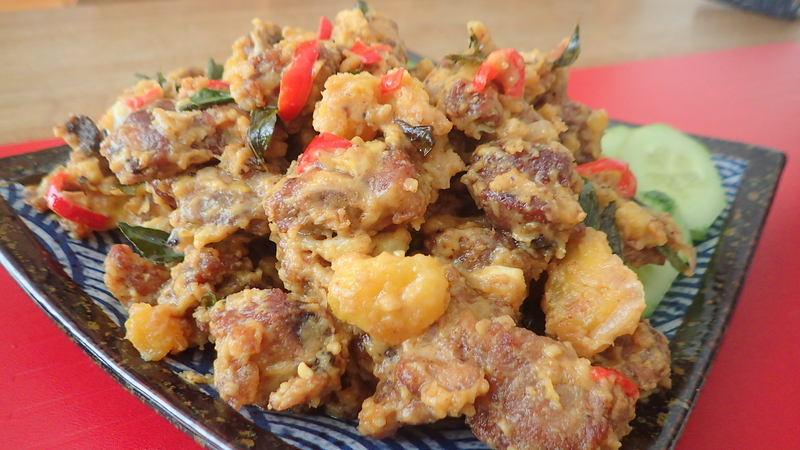 You don’t have to use as many salted egg yolks. 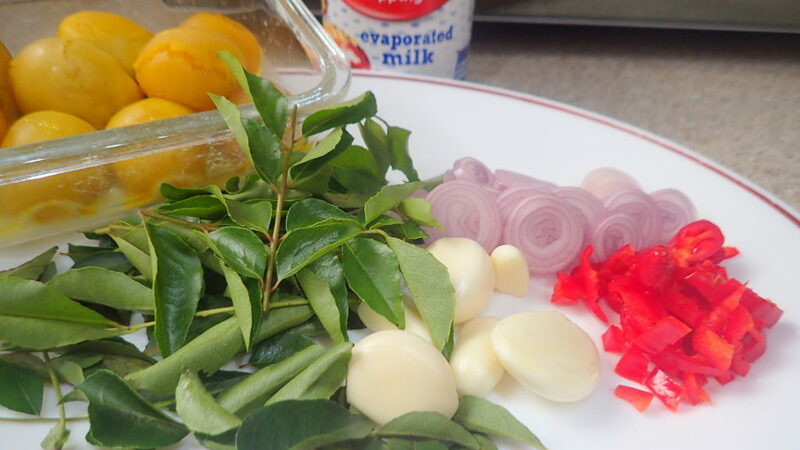 This dish also justify the fresh curry leaves my friend gave me to the maximum. 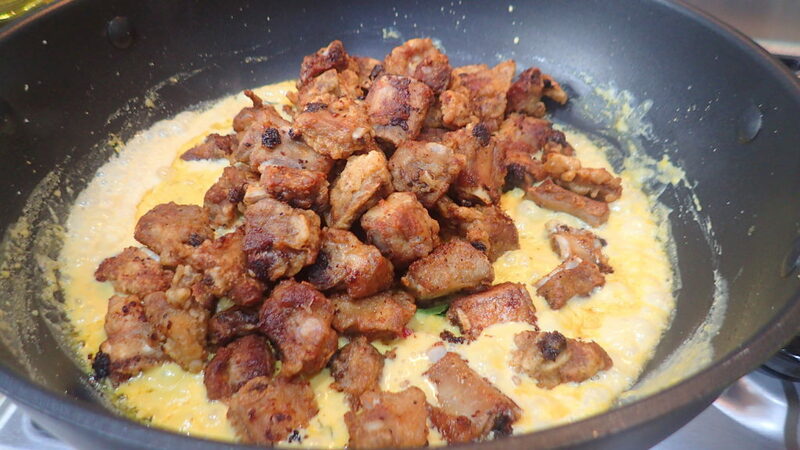 Marinate the pork ribs with the eggs, rice wine, salt and pepper. Set aside for half an hour at least. 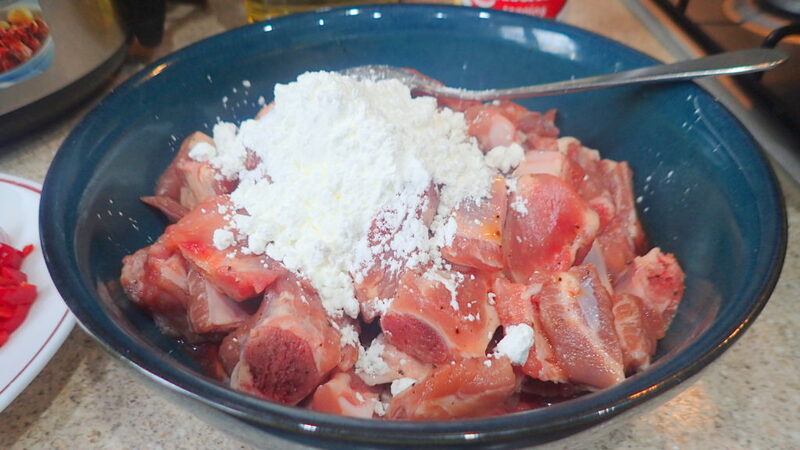 Heat the oil for frying and add in the cornflour to your ribs. Give it all a good stir before dropping them into the hot oil and fry them till crispy. 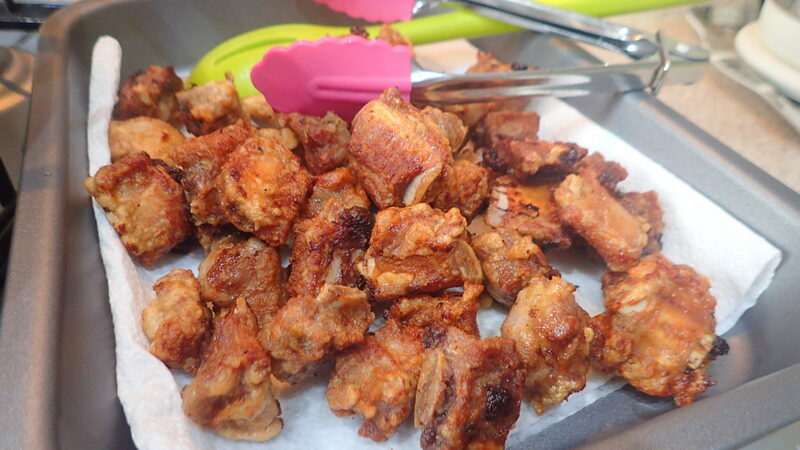 Depending on the size of your wok/pan you might need to fry the ribs in a few batches. Fry till golden brown. 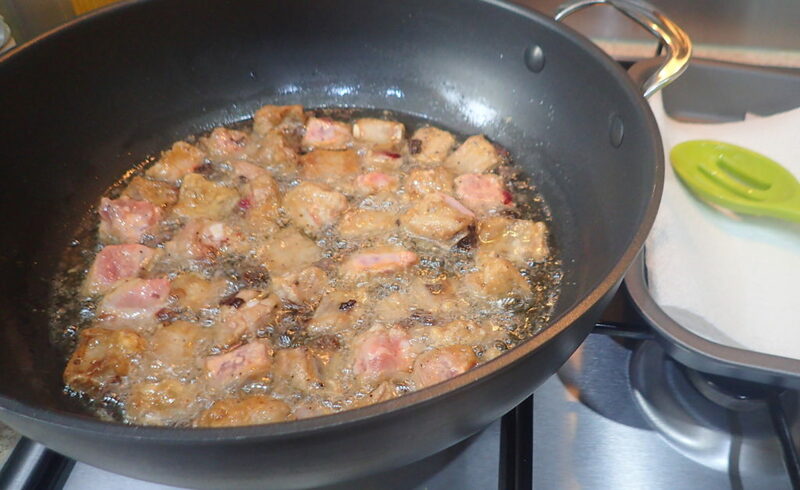 After frying your ribs, set them aside to drain on kitchen towels. 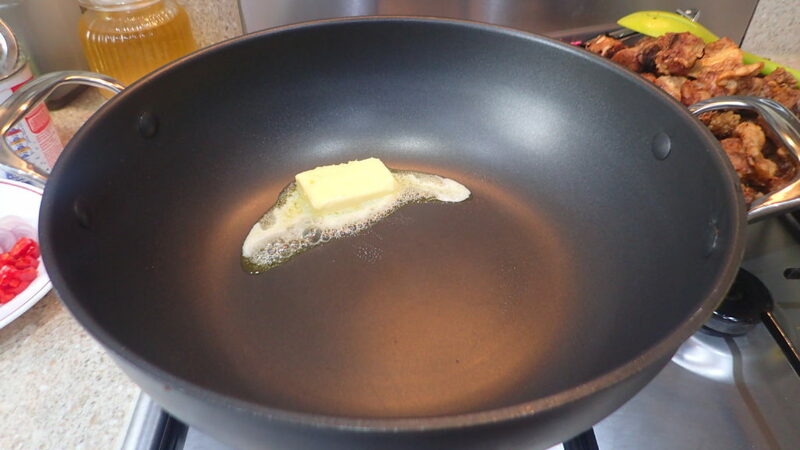 Meanwhile, pour the oil away and wipe your wok clean. 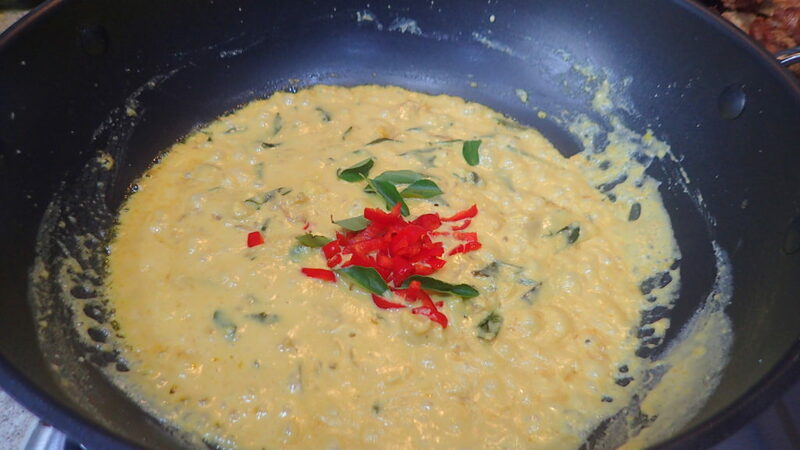 Drop the butter onto your wok and your frying ingredients, garlic, shallots, curry leaves and the steamed salted egg yolks. 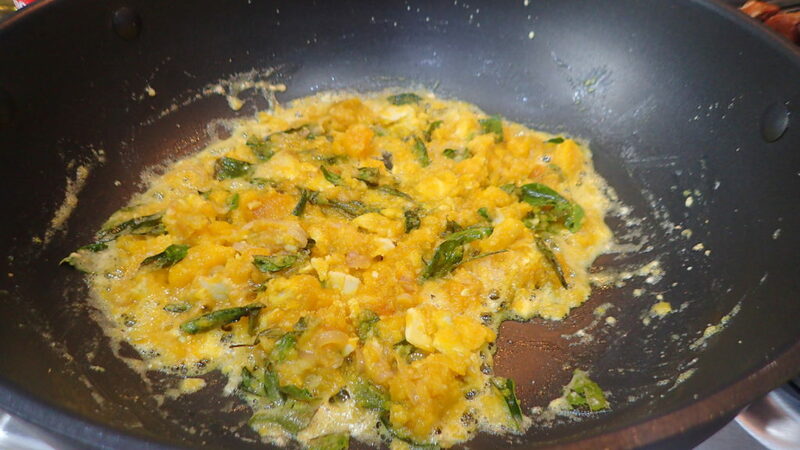 Mash the egg yolks into the butter. Give it a good few minutes of stirring on medium heat and they will become all frothy. 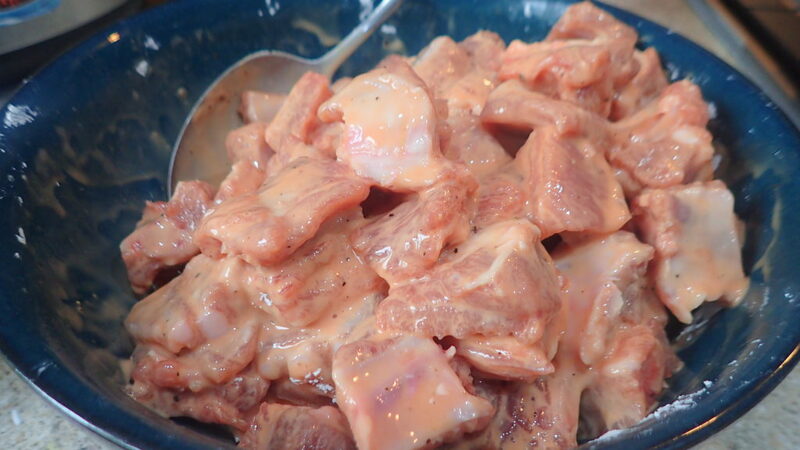 When it’s frothy add in the evaporated milk and let it bubble – stirring constantly. 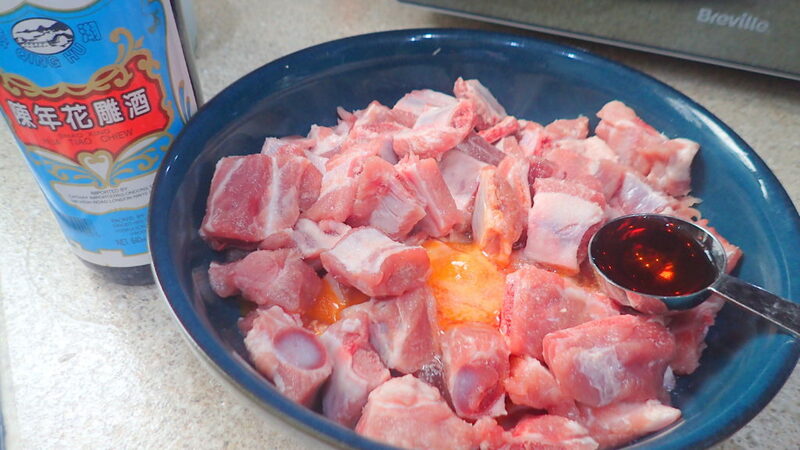 lastly add in your red chillies, then your prepared ribs. After this, give it a good stir and serve.